Capital Bikeshare officially launched in Fairfax County on Friday, with nine stations in Reston and eight in Tysons Corner now available to add another mode to the area’s multimodal transportation. 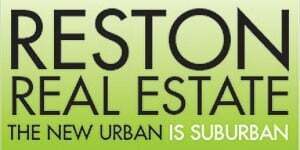 By the time local officials such as Rep. Gerry Connolly (D-Va 11th), County Supervisor Sharon Bulova, Hunter Mill Supervisor Cathy Hudgins and Del. 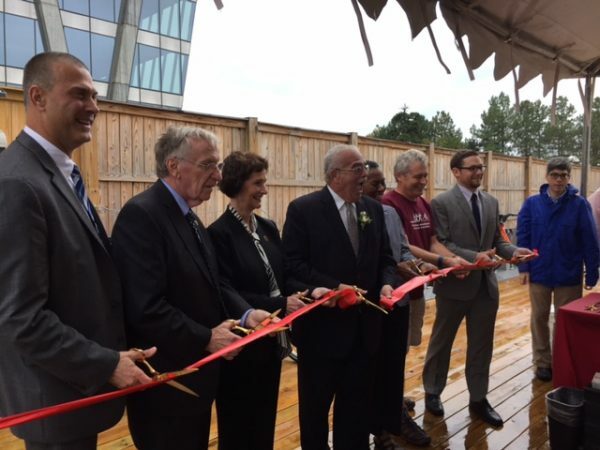 Ken Plum cut the ceremonial ribbon at Reston Station at 2 p.m., it was most certainly not biking weather as rain began to fall and wind began to blow. 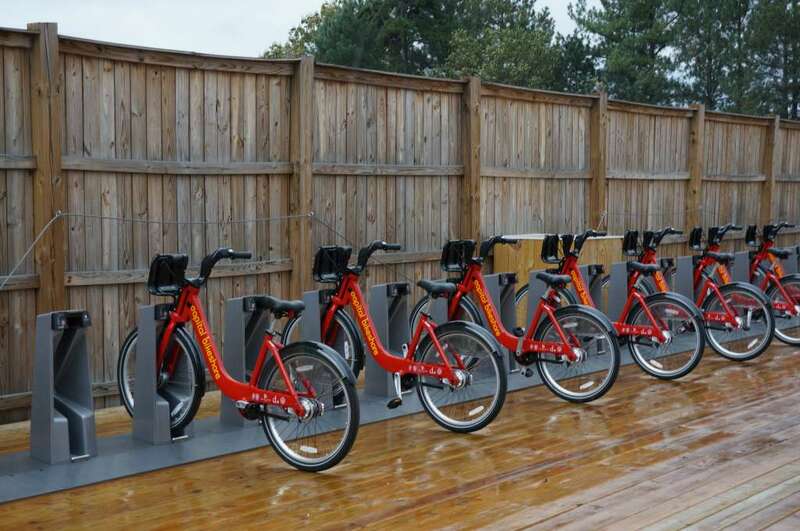 Nonetheless, the bikeshare stations will now offer a new way to get around Reston, 24 hours a day, rain or shine. The county plans to have a total of 29 stations soon (15 in Reston), said county bicycle program manager Adam Lind. 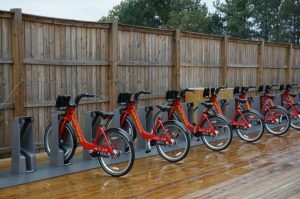 “To be able to stand here with well on the way to 30 bikeshare stations in Fairfax County less than two years after the feasibility study is really a testament to the hard work and effort that went into this,” said Lind. Stations that opened Friday include the YMCA Fairfax County Reston; Reston Town Center Transit Station; Reston Regional Library; Reston Station; Temporary Road and Old Reston Avenue; Library Street and Freedom Drive (Reston Town Center); New Dominion Parkway and Fountain Drive (Reston Town Center); Sunset Hills and Old Reston Avenue; and Town Center Parkway and Bowman Towne Drive. The Reston and Tysons bikeshare operations join the more than 400 stations in the Capital Bikeshare network. Hudgins said Reston was a natural place to put Fairfax County’s first bikeshare system. Hudgins said multimodal transportation has been on the minds of county officials since they started planning for Metro here years ago. Visit Capital Bikeshare online to see membership options, rates and how to use the system. Photos: Top. Del. Ken Plum (second from left), Supervisor Chair Sharon Bulova and Rep. Gerry Connolly among VIPS cutting bikeshare ribbon in Reston; Bottom, Bikeshare station at Reston Station.